It’s just so much easier to lie about reading Jane Austen than it is to actually read Jane Austen. ‘Oh yes I’ve read Emma. Didn’t get on with it.’ Didn’t get on with the first page more like. I’m pretty happy being a literary liar, it’s served me well. But Miller’s book did implant in me the idea that perhaps I’m missing out on a lot of good books. 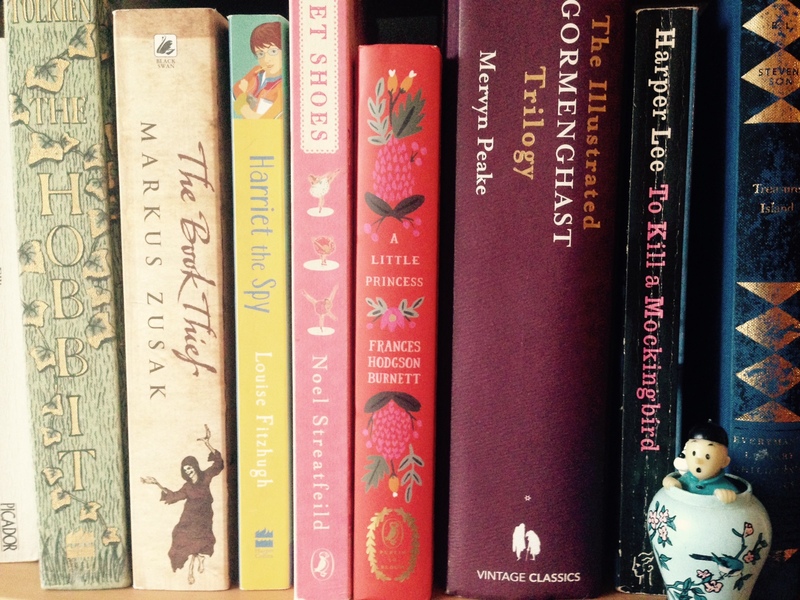 So I’ve drawn up my own ‘list of betterment’: Fifty children’s books I really should have read but haven’t. I’ll do the adult version of this challenge when I grow up. 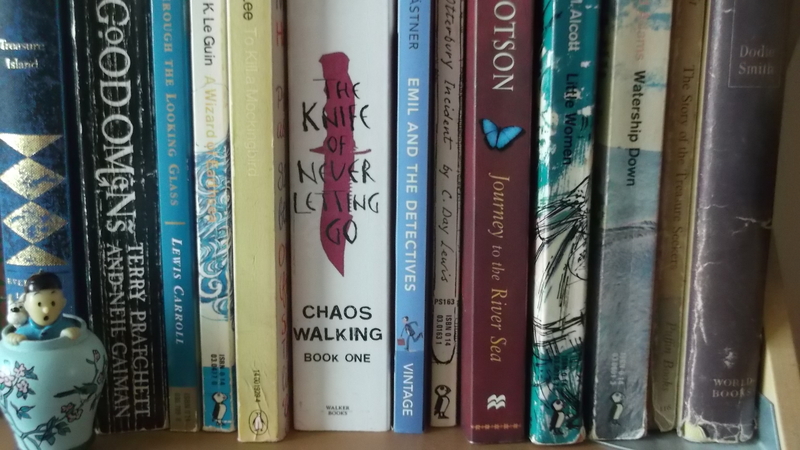 From a long list of around 80, a quarter of which I’m ashamed to admit I already own, I’ve come up with this final selection of books for children (as well as some adult books like Gormenghast which are widely read by young adults) . What’s interesting looking down the list is how close it is to many of the ‘Greatest Children’s Books Ever’ lists that appear from time to time. As many of my favourites never appear on those lists, I’m a little suspicious about many of the books that do. Are they there because they’ve always been there? Do children really read them? Maybe people choose them because they’re improving? Maybe. Or I could be missing out on something revelatory, a book that saves my life. So here goes (please don’t judge me too hard). The Little House on the Prairie by Laura Ingalls Wilder. A Little Princess by Frances Hodgson Burnet. 2018 update – I have read 11 of these so far. No lie! Tags: Andy Miller, Jane Austen, the lord of the rings, To Kill a Mockingbird. Bookmark the permalink. love your list of books, here – some i’ve read and some i have on my radar to read (just picked up anne of green gables at the bookstore). others, i may have to check out! That’s a far more sensible way to approach reading classics Valerie. What’s on your to be read list? I loved Catcher in the Rye – but I read it as a 16 year old, so that’s not surprising. Thought provoking post Jake! I really like it. I’ve recently found that a good way for me to read some of the older (children’s) classics I’ve never read is to choose them for bedtime reading with my kids. I especially enjoy it when I read books which are new for all of us, as we share the journey of discovery. A book I’ve found helpful in helping me choose what to read is 1001 Children’s Books you must read before you grow up. So this year we’ve read things like Tom’s Midnight Garden (which I had never read before, and am SO glad I’ve read now). As a book blogger I do feel a constant drive to read and keep up with newly published books, living little time for books published even just a year or two ago, let alone 50 or 100 years ago, but carving out a bit of space with my kids to do some of the older books is working wonderfully. Interesting you should say that. One of the things that spurred me on to do this was reading Five children and It to my children and loving it, to the extent they demanded we read the sequel. Think you’ve read the best of the Harry Potter books, so no shame there! Great list. I’ve enjoyed seeing how many I’ve read and being reminded that there are so many terrific books I haven’t. I’d love to see the list of your favourite books you have read, especially as you never find them on other people’s lists. All the more to choose from! Thanks Griselda. Thinking of compiling an alternative list of books that should be on the greatest books lists. Watch this space! My husband has never read ANY classic children’s lit (he read nonfic as a kid) and he’s starting a book club with our 10 year old! They’ve read Treasure Island together and loved it. Finally found this list — how did I miss it? — and am going to see if I can use it as a template for filling in gaps in my reading, such as the Morpugo and the Kastner. Great selection, Jake. I’m coming to your lovely list rather late, indeed I just found your blog in the past few weeks. I feature a booklist on my blog most Thursdays, and today I used your list.